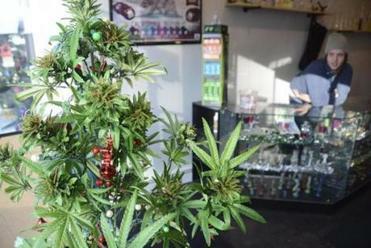 It took less than an hour, and only about a half-dozen state legislators, to approve a bill that would overturn significant parts of a marijuana legalization law that 1.8 million voters approved just last month. With no public hearings and no formal public notice, the few lawmakers on Beacon Hill passed a measure on Wednesday to delay the likely opening date for recreational marijuana stores in Massachusetts by half a year — from January to July 2018. 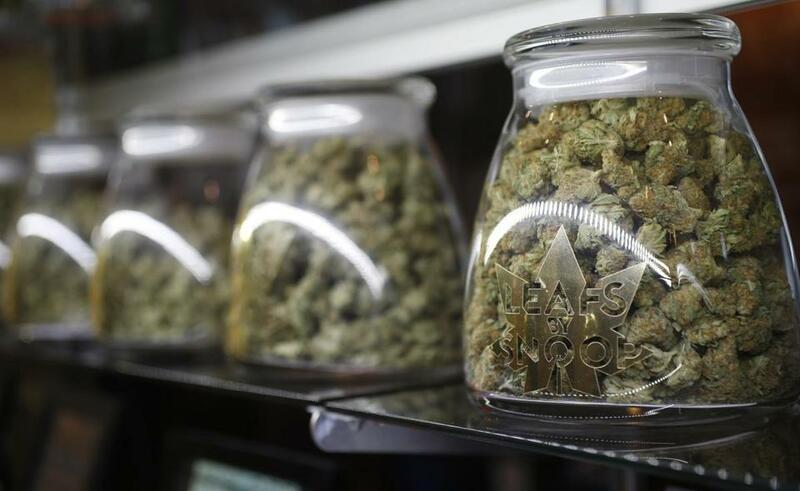 Part of the new law — legalizing possession and home-growing — took effect on Dec. 15. That wouldn’t change under the measure, which first emerged Wednesday morning in the state Senate. The move, held at an informal session which took less than an hour, was extraordinary, but technically allowed. Drafters of the marijuana legalization measure have said the quick opening of stores is critical. That’s because the state now exists in a legal gray zone: Marijuana is legal to possess but illegal to sell. Adults 21 and older can legally purchase, possess, home-grow, and use marijuana, but the people they are buying it from are breaking the law by selling the drug. Only sales from the regulated retail market will be legal — and that market would be pushed back. Until it begins, there will be no state oversight of recreational sales, like testing for contaminants. “We are very disappointed that the Legislature has decided to alter Question 4 in an informal session with very little notice regarding proposed changes,” said Jim Borghesani, a leader in the marijuana legalization campaign. Just two senators were visible from the publicly open gallery Wednesday morning, the chamber’s top two lawmakers, Senate President Stanley C. Rosenberg and Republican Minority Leader Bruce E. Tarr, and passage of the measure took less than a minute. “The substitute amendment has to do with a six-month delay in certain provisions of the bill,” Rosenberg explained to a nearly empty Senate chamber, adding that the already-passed Dec. 15 deadline would not be affected. Less than an hour later in the House, with about five members on hand and Democratic Representative Paul Donato presiding, passage was even faster, taking seconds to add their approval to the measure. Lawmakers and staffers quickly shuffled in and out of the chamber — not all of which is visible from the public gallery — so it was not clear precisely how many lawmakers were on hand as the measure was approved. Formal sessions for the two-year legislative cycle have already ended, and during informal sessions no roll-call votes are permitted, meaning that none of the lawmakers present Wednesday is on the record with abstentions or support. During informal sessions, the objection of a single member can derail a legislative measure. But no one voiced one Wednesday. State legislators have overriden the express desire of voters before. In 2002, two years after voters chose to roll back the state income tax to pre-1989 levels, the Democrat-controlled Legislature voted to freeze the rate, arguing the state needed the revenue. Later that year, Republican Mitt Romney won the governorship, a victory many attributed in part to voter anger with the tax vote and clear reversal of voter sentiment. This year is different, Democratic legislative leaders insisted in a joint press release after the vote. But Mason Tvert, a national advocate for legalization at the Marijuana Policy Project, scoffed at the premise of the Senate president’s statement. Treasurer Deborah B. Goldberg, the state’s top marijuana regulator, has been among the loudest voices urging a delay. She has said that to create an effective bureaucracy that can regulate and police recreational marijuana sales requires more time than the ballot question gave her. But opponents have cried foul, arguing that Colorado set up its recreational marijuana system in the same timeframe. And tinkering with the voter-approved law flies in the face of democracy, they say. Senator Jason M. Lewis, the lawmaker who sponsored the pot-delay bill, acknowledged the legislation didn’t get a public hearing. But, he said, the bill “should come as no surprise to anyone” since top officials have spoken publicly about a delay for weeks. For example, after worries about the sale of pot-infused edibles that appealed to kids, consumers getting sick from ingesting too many edibles, and people not being able to tell the difference between a brownie and a pot brownie, Colorado enacted several new laws and regulations. Among them were a prohibition on the sale of edibles in the distinct shape of an animal, fruit, or human, and a mandate every individual serving of a pot candy or cookie be imprinted with a warning symbol. Lewis, who traveled to Colorado earlier this year with the Legislature’s special marijuana committee, said the goal of the delay is to allow laws like that to be put in place before there are adverse effects on public health and safety in Massachusetts. The specific language of the bill would delay several aspects of the law. For example, the law calls for the treasurer to appoint a three-person Cannabis Control Commission to oversee the new industry by March 2017. If the pot delay becomes law, the treasurer won’t have to appoint them until September. The expected opening of retail marijuana shops would be pushed back to from January to July of 2018. But legalization proponents worry that lawmakers might later decide they need even more time to tinker with the law, further delaying the birth of the industry — a prospect that could chill funding for recreational marijuana. The thinking goes: Who would want to invest in a store or a pot cultivation facility or manufacturer of marijuana-infused edibles that may not be able to open for an indeterminate amount of time? The pot-delay bill also includes a mandate for the state Department of Public Health to conduct a baseline study of marijuana use in Massachusetts. The survey must include patterns of use, methods of consumption, perception of the drug, incidents of drugged driving, and other metrics. “Coming out of Colorado and other states, you see conflicting data on the impacts of legalization. . . . And one of the main reasons for the conflicting data is: They didn’t have good baseline data from before a commercial marijuana industry began to compare to the current reality,” Lewis said. Massachusetts’ baseline study, he said, will help make the state a national leader on marijuana policy. Baker has 10 days to act on the pot-delay bill. Among his options: signing it into law or vetoing it. How hard is it to get pot now that it’s legal? Quiz: How much do you know about the new Mass. marijuana law? Material from the State House News Service was used in this report. Joshua Miller can be reached at joshua.miller@globe.com. Jim O’Sullivan can be reached at jim.osullivan@globe.com.